Throughout their lives, humans go through a number of developmental changes, from birth to death. These changes are usually marked by milestones, which signify a turning point of some sort in a person's life. The majority of notable milestones occur in our childhood and adolescence, such as first words and puberty. Adults, however, also go through a number of developmental milestones as well. Some milestones in an adult's life might include getting married and retiring. Developmental psychology is the study of human growth and development. This may include physical, mental, emotional, intellectual, and social changes and milestones. 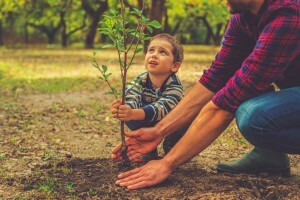 By studying these developmental changes, psychologists can have a better understanding of how people change and grow during different stages of their lives. One of the earliest ideas in developmental psychology was presented by Jean Jacques Rousseau in the 18th century. Rousseau stated that there were three main stages of childhood. These stages were infancy, childhood, and adolescence. Later, in the 20th century, Erik Erickson expounded on this idea, and came up with distinctive stages in adulthood. What Are the Education Requirements to Become a Developmental Psychologist? Anyone interested in a developmental psychology career must earn a four year Bachelor's degree in psychology at an accredited university. To start their careers, however, more advanced degrees are usually necessary. A number of schools across the country offer Master's degree programs and Doctoral degree programs in developmental psychology. Students will typically have the choice of earning Doctor of Psychology (PsyD) degrees or Doctor of Philosophy (PhD) degrees in developmental psychology. A person in treating of counseling patients with certain developmental disorders should consider earning PsyD's. Those interested in conducting research in the field of developmental psychology, however, should consider earning PhD's. If you are serious about possibly becoming a developmental psychologist learn more about programs in your area that offer these degrees in our Find a School section. Why Do We Need Developmental Psychology? Developmental psychology helps us understand how a person grows, ages, and develops during different stages in his life. Understanding this allows us to live our lives to the fullest potential possible. On average, most people develop or hit certain milestones at certain ages. By knowing what age a child is expected to hit a certain milestone, psychologists are able to tell whether he is on track or not. Babies that are not sitting up on their own by nine months of age, for instance, may not be developing properly or they may have a more serious health condition. Catching a possible problem early, however, can help parents and doctors get a child back on track to so-called normal development. What Does a Developmental Psychologist Do? A developmental psychologist will usually specialize in certain ages and stages during people's lives. For instance, a developmental psychologist might focus on childhood development, or he may focus on the Golden Years in a person's life. The duties and responsibilities of a developmental psychologist will often vary, depending on his specialty. A professional specializing in childhood development, for example, may evaluate children to determine whether or not they have developmental disabilities. On the other hand, a developmental psychologist specializing in older adults may try to find ways that make it easier for elderly people to live more independently. Where Do Developmental Psychologists Work? Pursuing a developmental psychology career may seem daunting at first, but there are a number of places that hire these professionals. Developmental psychologists often work in schools and learning centers, for instance, along with children's homes. Hospitals and mental health facilities often work with developmental psychologists as well, as do nursing and retirement homes. Universities and other educational institutes also hire developmental psychologists to perform research and teach. Some government agencies and research facilities also work with these professionals. What Is the Median Salary for a Developmental Psychologist? The median salary for a developmental psychologist in the United States can vary, depending on a few different factors. For instance, more experienced developmental psychologists with advanced degrees are often able to command higher wages than professionals with less impressive resumes. According to the Bureau of Labor Statistics, however, psychologists in general earned a median salary of $86,510 in 2010. Developmental psychologists may make slightly more or less than this, depending on their specialty and where they work. Professionals that worked in substance abuse clinics and psychiatric hospitals, for example, earned a median salary of $69,150, while those working in physicians' offices earned a median salary of $109,600. Jean Jacques Rousseaustated that children go through a few distinct stages as they grow from birth to adulthood. Jean Piagetwas one of the most influential professionals in the field of developmental psychology. He theorized that humans go through four main stages in their life time: the sensorimotor stage, the preoperational stage, the concrete operational stage, and the formal operational stage. YouTube.com - What is Developmental Psychology?